Beirut is located on a peninsula along the Mediterranean coast of Lebanon. It is not just the capital but also the main seaport as well as the country’s financial nucleus. Despite its tumultuous recent history, the city has made it to some prestigious global lists including top places to visit by New York Times and Lonely Planet’s liveliest cities of the world amongst others. 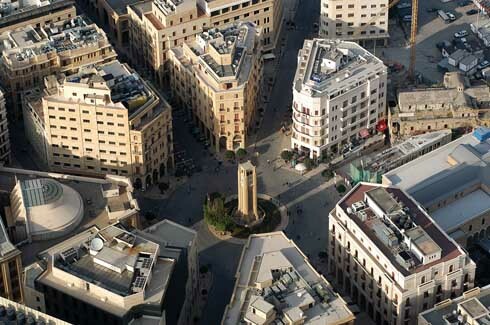 The best time to visit Beirut is from April to June, when the weather is pleasant and the days long. As the peak of summer sets, the weather gets hot and the ascending levels of humidity add to the discomfort. While winter temperatures are not extreme, it is rainy at that time of the year. Beirut has a history of being a popular tourist destination and its popularity had earned it the appellative “The Paris of the Middle East”. The Lebanon Civil War brought about a dark period in the city’s history but since its end in 1995, Beirut is well on its way to attracting tourists from across the globe. 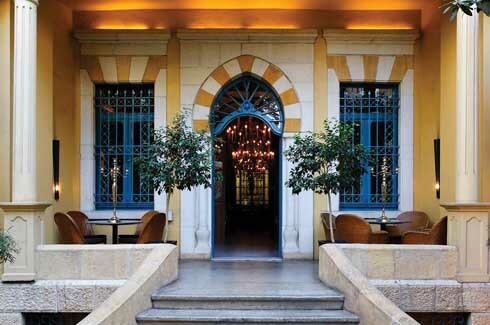 French, Arabic, Ottoman and Roman influences on the cityscape make for a charming setting. The warm ochre colour façade of Hotel Albergo sets the tone for the rest of the stay. The owners renovated an old 30s style mansion taking care to ensure that the soul of the original heritage building was preserved in its new function as a luxury boutique hotel. In the times where minimalism is the safe mantra, Albergo explores the other end of the spectrum where more is less. Plush chaise lounges, copper and crystal chandeliers, ornate rugs and curtains add to the luxurious feel of the setting. A treasure trove of antiques and artefacts occupy nooks and corners and shelves. Such is the variety at display that it appears to be the collection of a traveller who spent many years zigzagging across the globe. 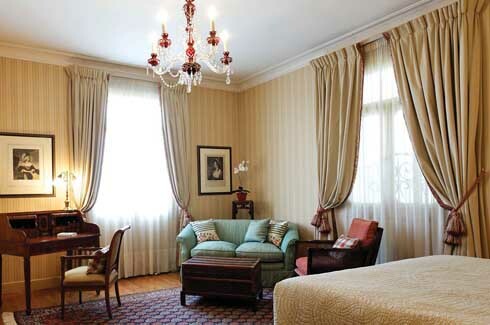 The word ‘rooms’ fails to describe the suites at the Albergo Hotel; ‘boudoirs’ is more appropriate. Much like the rest of the hotel the theme of opulent luxury continues in them. 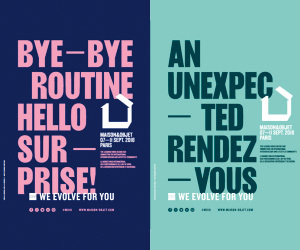 An individualised design approach ensures that each suite has its own unique personality. A different colour scheme has been applied to every suite ranging from the calm blue of the Mediterranean to sandy yellow to a fresh green. 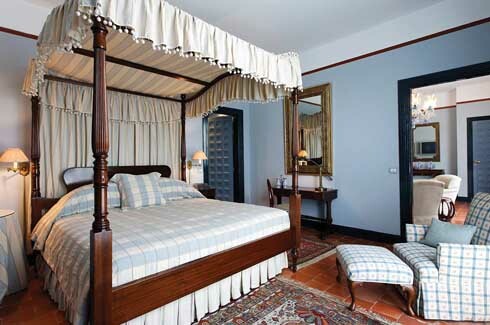 The rooms have been furnished and fitted to match the theme be it Oriental or French or ancient Lebanon. Attention to detail ensures that all the elements come together to create an atmosphere that is more like a homely apartment than a hotel room. It is difficult to imagine a wallpaper as the main attraction of a design concept as elegant as the Liza Restaurant in Beirut. Artist Idarica Gazzoni’s stunning wallpaper adorns the walls of all the rooms, each one different, each one narrating the story of that room. It is a green leafy one in the Banana Room which helps create an alfresco dining atmosphere. 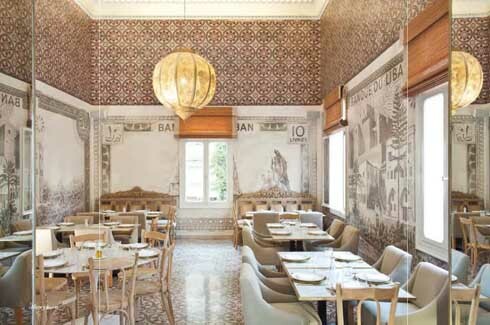 The Money Room is covered with blown-up images of old Lebanese currency while the Building Room showcases the towering skyline of modern Beirut. Moorish-style windows separate the spaces while the daylight flooding in and flowing amongst them binds the entire space to tell one cohesive story. The largely white colour scheme and extensive use of glass lends the Liza an ethereal yet inviting aura. 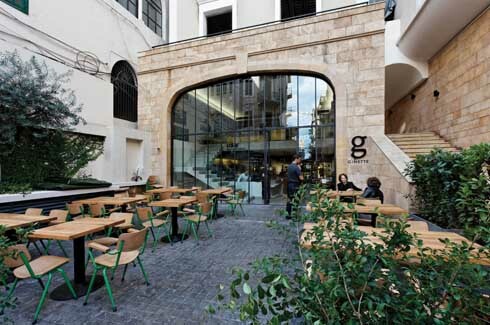 Many spots around Beirut herald Lebanon as a global design destination, and the uber cool Ginette is right up there amongst the best. 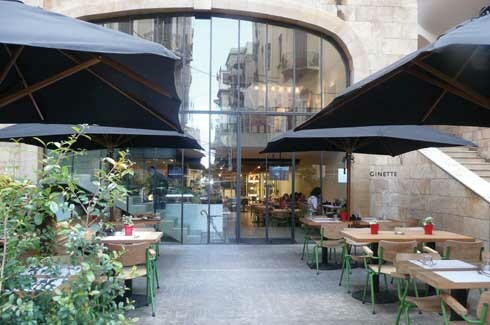 A bistro, art gallery and concept store all rolled into one, Ginette is a statement in minimalist sophistication. The spaces, all under one roof, flow seamlessly into each other but at the same time a clean layout keeps the space clutter-free. 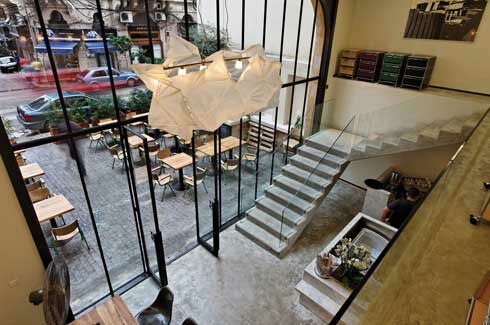 A dramatic two-storey high glass façade visually merges the inside and outside spaces of the bistro. Besides the delicate origami chandelier and some other details, the space relies on subtle factors to charm the visitor. 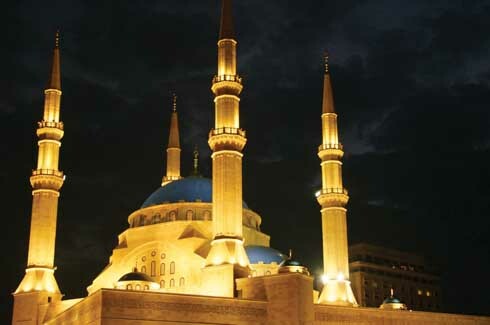 The earthy tone of the minarets and the walls and the contrasting bright blue of the domes make a striking picture in the Beirut skyline. 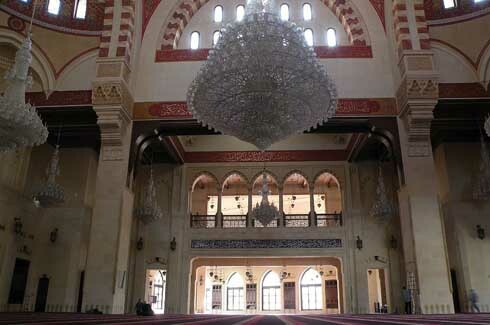 Built between 2002 and 2007, it is apparent that the Mohammad Al-Amin Mosque has been inspired by Ottoman architecture. Not only is the structure impressive, the interiors too have been ornamented with detail and care. Paintings, calligraphy, gilding and stone and wood work have been used effectively to create a striking ambience in its interiors.